Hello everyone! 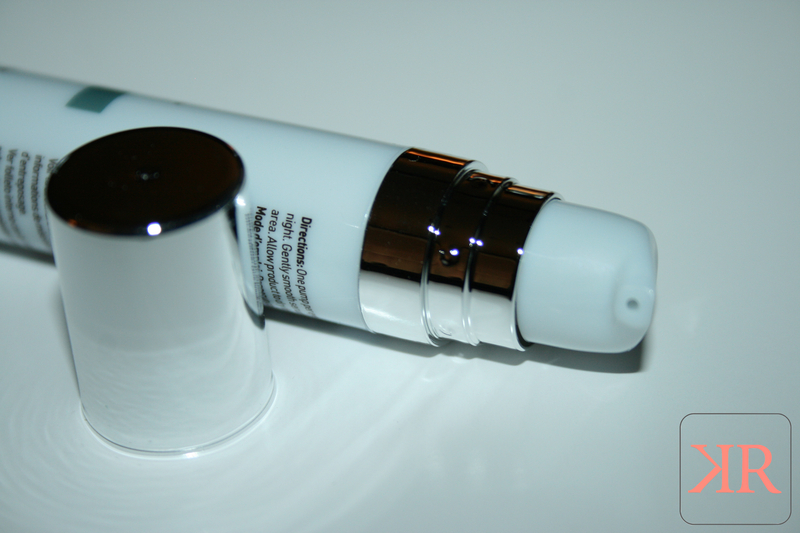 Today I have for you a review of Josie Maran’s Argan Oil serum. I’ve never used a Josie Maran product before, but I have used an Argan Oil product before, which made my hair feel a bit… slick. So I was a tad nervous to try this. Let’s see what I thought, shall we? Packaging: The sleek pale rose gold/beige packaging with dark plum writing looks super luxe yet inviting. The simplicity really attracted me. The front of the box has nothing but the brand, product name (in both English and French), its mission statement (in English and French), and it’s size. No artwork or anything. Very attractive. The upper back of the box lists ingredients and description (in English and French) is clearly readable. The two things I’m not seeing on here that I wish were the Leaping Bunny logo, and something stating that it was responsibly sourced/fair trade Argan Oil. But the PETA bunny logo is there, so that’s fine by me. Wish it claimed to be responsibly sourced as well. The top of the box has a statement from Josie Maran herself, in English and French, along with her signature. Just a little something extra that makes this feel like a luxe and “home-y” product before even opening the box. The last thing about the packaging is this; on the inside flap, there is one more logo circle — Made With Love. One last friendly touch before you get to your product. Nice! Okay, enough with the packaging love — I can be so romantic about the little things like that, but hey- that’s kind of part of this whole “beauty blogger” title, right? Right. Product Claims | It contains Argan Oil, a naturally potent, antioxidant-packed oil culled from the Moroccan Argan tree fruit. It’s also rich in Vitamin E and essential fatty acids to help hair renew and replenish hair cells to “keep hair looking young healthy and hydrated.” The oils are meant to “help boost shine, shield your hair from the sun, and protect color, sealing out environmental damage while infusing hair with a glossy finish.” It’s free of parabens, sulphates, synthetic fragrances, dyes and phthalates. It also claims to fend off heat damage and to cut blow-drying time by 40%. 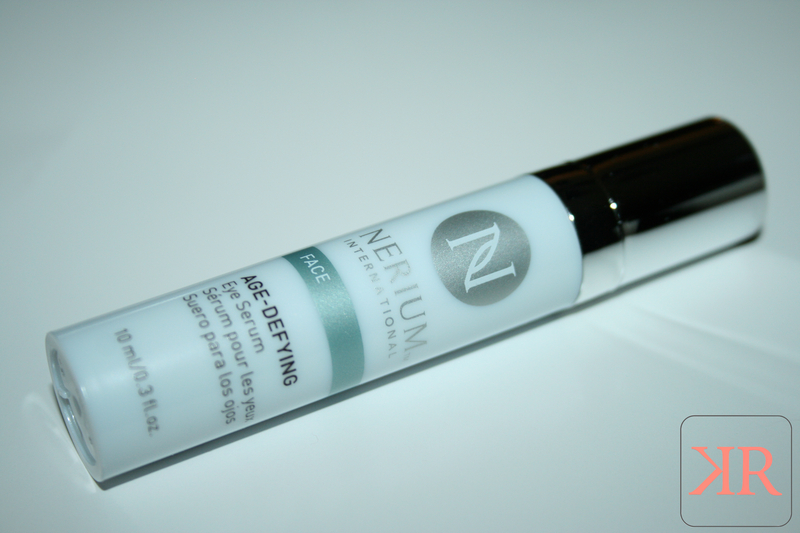 My Experience | First off, this seems like a small bottle to me because I don’t usually use serums, but as usual, a little goes a long way, and only a few drops (like half a pump) was needed to do my fine, short hair. My initial thoughts were: “Great, greasy hands…” and “Wow, this smells so nice!,” but the serum washed off easily with soap and water and it really does smell wonderful — geranium and bergamot extracts are the natural fragrances used here. I applied just a few drops to the palm of my hand, warmed it up, then just ran my hands through the bottom of my hair with my hair flipped upside down, concentrating on the ends as the instructions tell you to do. I always let my hair air dry, so no heat was applied to challenge the “no frizz” claim. After my hair dried, it felt so absolutely silky and soft. Absolutely perfect in all ways, no frizz, kept my natural wave, didn’t weigh my hair down and number one: it didn’t look greasy in the slightest. My hair felt healthier and nourished, without feeling like there was any product in it at all. There was a little bit of shine added also. Over the past few weeks, I’ve used this as my after-shower leave-in, and I’ve definitely seen an improvement in my hairs appearance and health. The only negative I have is that during the summer, I always let my hair do it’s natural thing, and I get perfect, lightly frizzed beach waves, which with this product, will be impossible to do, which means I’ll have to use heat styling or more (potentially drying/heavy) product to create my beloved waves. That’s not really a negative for the product though, as it does what it’s supposed to, but it’s just a little note I thought I’d make. Also, I almost never use heat styling tools on my hair, so as for the protectant and the decreased blow-drying time claim, I can’t fairly comment. So yeah, all in all, this product is a win. If I can actually make it through a whole bottle – this thing lasts forever – I’ll definitely purchase this. For sure. I suggest you try it at least once to see how it works with your hair, as everyone is different. Availability | Sephora, in stores and online. Pricing | $30 for 2 fl oz. Disclaimer: Products featured in this post were provided for review. All reviews are honest and in no way influenced by anything other than my experience. For more information, please refer to my Disclosure Policy. It’s Saturday night and you know what that means….girls night out! Ladies, it’s time to hike up those skirts, grab your favorite cocktails and prepare to turn some heads. Long before your stilettos hit the dance floor, get your mitts on some LUSH goodies that will ensure a GNO to remember. Suds up like the saucy siren you are with Sweetie Pie shower jelly ($5.95 – $10.95). Carrageenan seaweed softens while the blackcurrant and cherry infusion leaves your skin smelling sultry. Slip into some Silky Underwear ($6.95) before you slide into your little black dress. Our best-selling dusting powder contains cocoa butter to keep your bits moisturized while the absorbent powder will help you get in and out of that dress. Shake what your momma gave ya! 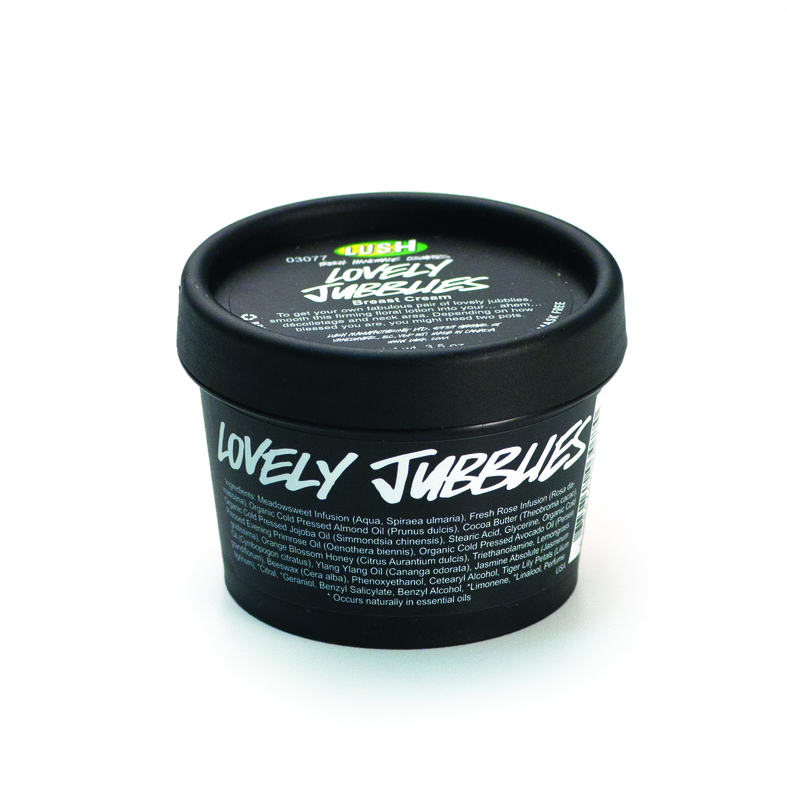 Perk up your perfect pair with our Lovely Jubblies ($24.95) cream, made with avocado to soften and meadowsweet infusion to tone your ta-tas. Get glowing and smell sensual with one powerful puff! Lustre ($14.95) dusting powder gives skin a beautiful shimmer, and its seductive jasmine scent is sure to entice some admirers!